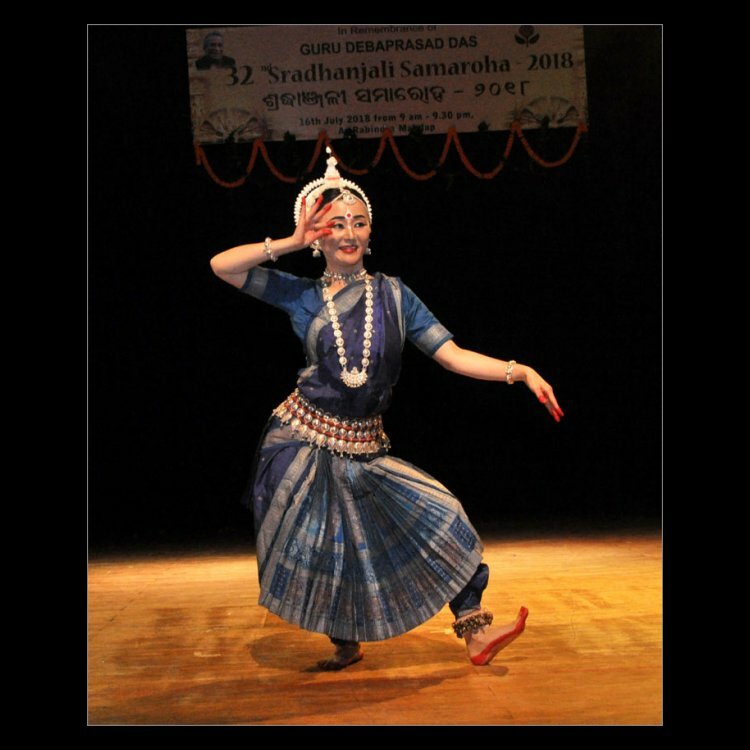 In remembrance of Guru Debaprasad Das, Tridhara, Bhubaneswar, organizes 'Sradhanjali Samaroha', a day-long festival of Odissi dance every year on 16th July, the death anniversary of the maestro. The main force behind this marathon festival is Tridhara's director, Guru Gajendra Panda, the maestro's foremost disciple and the torch bearer of his legacy. Three generations of gurus and teachers and their respective students belonging to the Debaprasad Gharana participate to pay homage to the great guru through dance. This year, forty eight groups and 550 dancers, including beginners from different parts of the country participated in the back-to-back performances from 10am to 10pm. 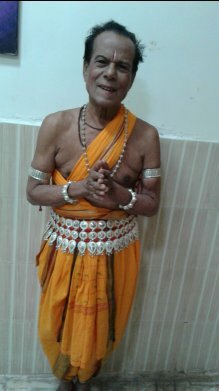 The audience at Rabindra Mandap in this 32nd year had the privilege of watching the performance of Debaprasad Das' first student, the acclaimed 84 year old Guru Sudhakar Sahoo under whom a large number of the present day renowned gurus have been trained. The ritualistic procession from Utkal Sangeet Mahavidyalaya, after pushpanjali and garlanding of the guru's statue there had to be called off because of the rains. Instead, everyone including the dignitaries, walked in procession from the altar of Lord Jagannath inside Rabindra Mandap with the sounds of conch shells and beating of drums, to garland and offer pushpanjali to the guru's photograph placed at the front corner of the stage. Most people missed the presence of the Ranapa (stilts) dancers. The vibrant performance by the folk artists of Narendrapur, "Shankhamuhiri" with drums, muhuri (a wind instrument) and double conch shells ushered in the performances. It commenced very aptly with the awe inspiring exposition of "Mahakali Dhyan" in raga Darbari, taal ektali by Guru Debaprasad Das' granddaughter Bagmishree Das. The vivid dancing was interspersed with the guru's signature Sabdaswara patha in tala joti. Every performance of Tridhara begins with the invocation "Vishnu Bandana" followed by "Panchadeva Namosthutey." The junior dancers of Tridhara initiated the performances by the participating groups by paying obeisance to Ganey (Ganesh), Narayan, Rudra, Ambika and Bhaskar through a beautifully choreographed presentation, indicative of good training. 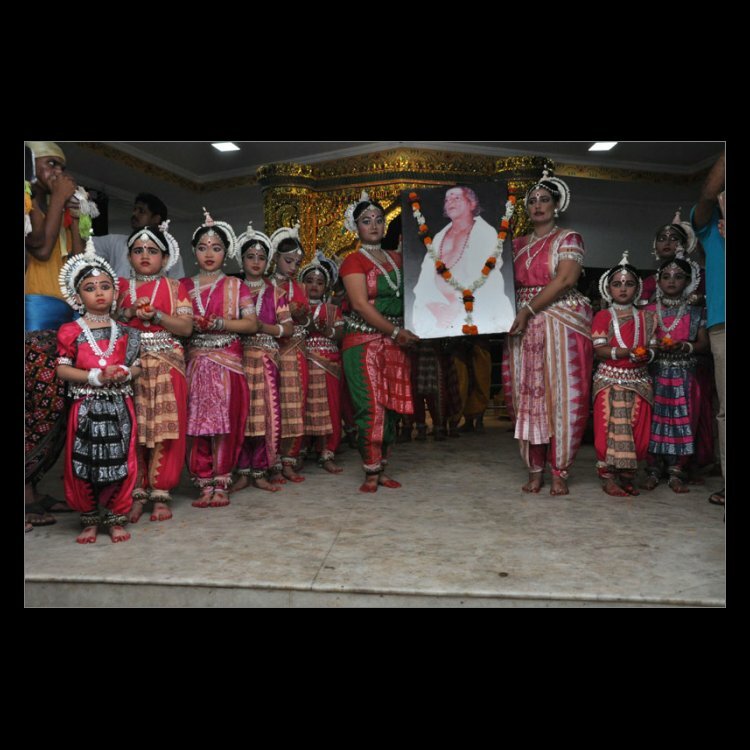 Prashannakshee (Brahmapur) presented one of Debaprasad Das' valuable compositions, 'Kalavati Pallavi' followed by Odissi Sadhana Pitha's pleasing raga Kedar based 'Saraswati Bandana'in Talamalika, choreographed by Guru Durga Charan Ranbir. Little girls of Nrutya Nipuna entertained with "Gananayaka." Interestingly both Ganesh and Shiva were dressed alike. "Naba Durga" by a male and female dancer of Satabdi Nrutyayana, Kolkata, was a well-coordinated, appealing duet by two skilful dancers. The original composition by Durga Charan Ranbir was choreography for the performance by Satabdi Mallik. The line "Jaya Bhagawati Devi namoh varadey" had a different composition every time it was repeated. The encouraging feature this year was the variety of themes, efficient and larger participation by juniors, healthy representation and lesser overlaps of themes. Incidentally, the festival is a tribute to the great guru and not a competition or display of quality, variety or efficiency. Nevertheless, there were only a couple of Ganga Taranga, Kasturi Tilakam, Kalavati Pallavi and Ganesh Vandana this year! It was a delight to watch several uncommon Odia abhinaya numbers even by juniors. In general there was a noticeable progress in the standards of young dancers as compared to previous years. Undoubtedly this is an indication of the increasing effort in learning and popularity of the guru's strong and vibrant style, thanks to the untiring efforts of senior gurus like Durga Charan Ranbir, Gajendra Panda and others. Kavi Banamali's "Kielo sajani kedi kadambamuley" by Nritya Tirtha Academy which ended in a well-knit fast paced nritta deserves praise. Om Kalinga Kala Parishad's touching "Tanku chahanalo mito" touched people's heart primarily because Guru Debaprasad Das used to dance to this song. The lovely abhinaya "Mitachahoni para" by Bhubaneswar Kala Kendra was enjoyable, so was "Rase harimiha" by Om Art Dance Academy of Ahmedabad. GSPA, Bhubaneswar presented a well rehearsed Shiva Tandava. Cuttack Kala Vikas Kendra has gradually grown with a strong set of dancers as was evident in the Durga Stuti, "Manini Palini Danini hey" in raga Patdeep, tala joti and triputa. Among other groups, "Bhadrakali Strotra" by Surabhi was evocative. Sudipta Panda's group Sanskruti Kala Niketan from Hyderabad gave a good account of themselves in "Vishnu Vandana" and Mokshya. What jarred was the lengthy introduction and achievements of Guru Sudipta Panda that was read out by her student before the performance. The ashtapadi "Chandana charchita" by the dancers of RAWA Academy of Adruta Dance Troupe was highly gratifying. In the solo numbers, senior dancers displayed maturity and technical competence. Diptimayee Sahu of Debaprasad Kala Tirtha, etched out each of the Navarasas vividly while Namita Roy's "Achombitey dekhili go mito" was profusely romantic. Sangeeta of Jatani gave a spiritual imagery of the Jagannath bhajan "Chakanayanku patita kehi." Arya Nande from Sarangarh is a promising dancer with a stately stage presence. Her chiselled movements in "Ashta Shambho" was a delight to watch and displayed her understanding and technical skill. 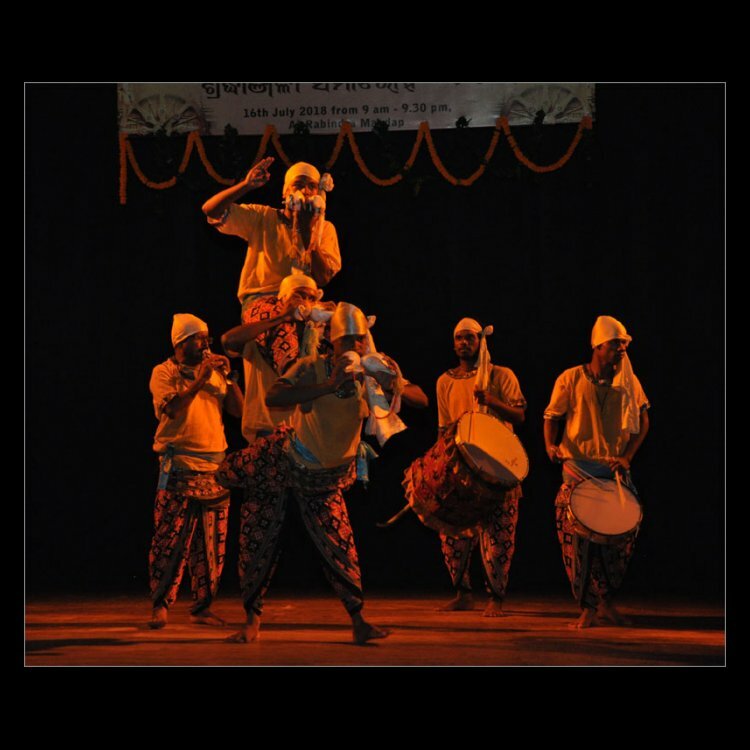 Guru Susanta Kumar Das of National Cultural Kala Pratishthan, Jasuapur, Cuttack, presented Durga Staba (Sarvamangala mangalye) as Mokshya even though this item is generally the final one in an Odissi repertoire. Kaori Naka from Debadhara Japan, trained under Guru Gajendra Panda has emerged as a competent dancer and stunned the audience with her energetic Shiva Ashtakam. Amidst loud applause entered the veteran Guru Sudhakar Sahoo, clad in an orange dhoti to present an impassionate romantic abhinaya "A ghoro Barashakaley Priyarasa rasa adhorey" on monsoon, in raga Chokhi, written by Upendra Bhanja. In an impassionate rendition, he in the Nataraja pose kissed his one hand, let loose in grace the other, as if it is the hand of Parvati , portraying "rasa adhorey" (caress). This sensitivity and imagery is only possible for an artiste of a very high calibre. Age has taken its toll and his movements are not as crisp but the facial expression remained soaked in emotion to mesmerize the audience. Deepak Parida on the mardala and Sukanta Kundu's soulful singing said it all. 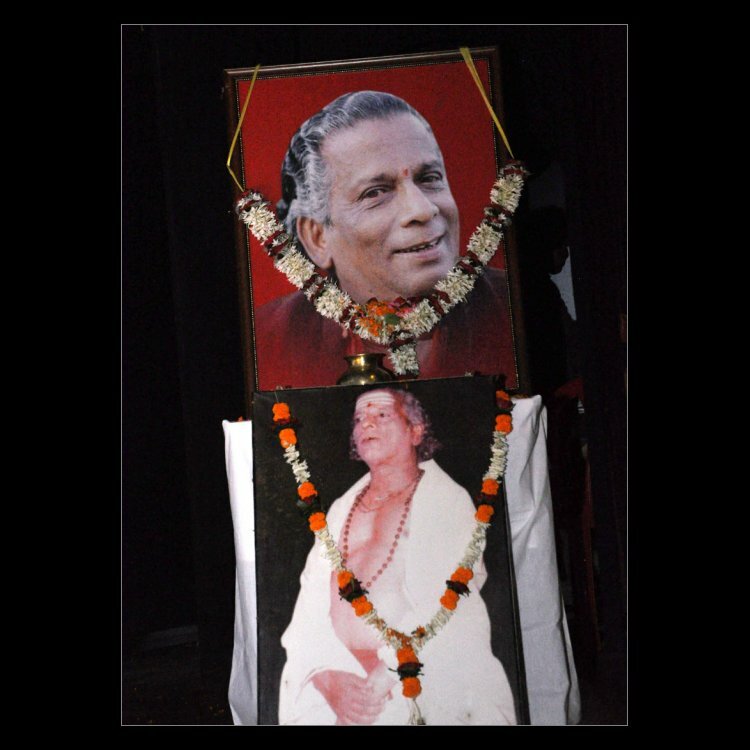 A true homage indeed to the revered guru. The program was conducted patiently and with uniform energy by none other than Srinibas Ghatuary (Milan) throughout from the beginning till the end.